Last year Lucie Roper the editor Dolls House and Miniature Scene Magazine contacted me to ask if I would be interesting in featuring in the magazine to show some of my miniature original artwork …… and the June issue arrived this morning, with the Art In Wax miniature Art Gallery on the front cover no less. 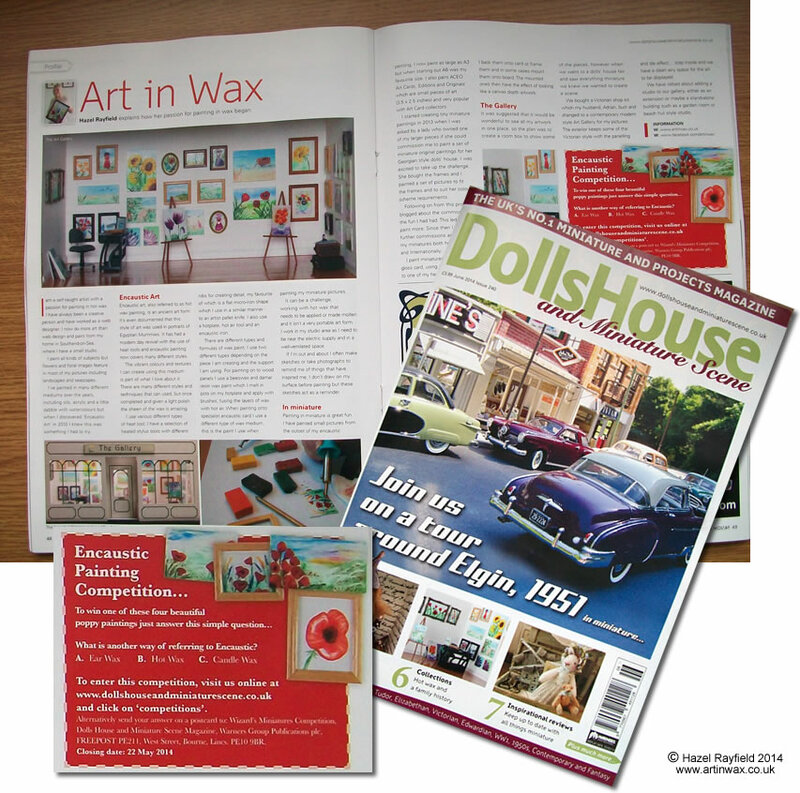 There are some wonderful articles and projects in this issue and it is very exciting to see “Art In Wax” in print! My husband Adrian built me The Gallery, he has created a beautiful space to display and show my art in wax miniatures, you can see more pictures of our 1:12 scale miniature scene in the blog post I did when it had its Grand Opening in September 2013 : www.artinwax.co.uk/blog/grand-opening-the-gallery/. The magazine also has a competition to win some pieces of miniature Art In Wax with details in the magazine. If you would like to own an original miniature piece of my art I have an online Miniatures Art Shop here on the Art in Wax website and I also take on commissions in the style of my work. A great looking and well deserved promotional article. Front cover, too! How exciting, be very proud Hazel!